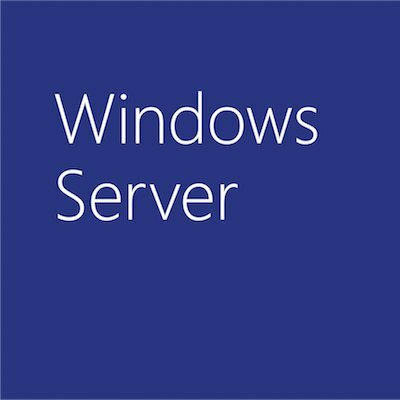 This post is authored by Carmen Crincoli, Senior Program Manager, Windows Server, and is the first of a 2-part series aimed at explaining the value provided by the Windows Server-Software Defined (WSSD) program. As many of you are aware, one of the most important scenarios enabled by modern versions of Windows is the creation of a hyper-converged infrastructure (HCI) through new technologies like Storage Spaces Direct (S2D). Right now, all the technology you need to create this infrastructure is simply baked into Windows Server Datacenter, waiting for someone to enable and configure it for their use. However, in order to receive support in a production environment, there are a number of quality hurdles that have to be cleared, particularly around the hardware used to create them. The work that goes into designing and testing these solutions is intense. As with any other Windows feature, you can do much of this work yourself. However, most IT organizations don’t have the resources to perform the same level of integration testing as our partner ecosystem. To ease your path to a high quality experience, we created the WSSD program. WSSD enables our partners to easily list and sell fully tested and supported configurations. We recommend our customers use these pre-certified solutions instead of trying to build their own. Rather than just asking you to take our word for it, I’m going to attempt to provide an understanding of the kind of technical work these vendors do as integrators, and why building off the shelf is a bad idea for critical production workloads. While you could assemble a group of different certified devices and build a supported configuration, you’d be missing one critically important step: Integrated testing. All of those parts underwent some level of additional testing, but not together as a group. Your disk from Company A was probably tested in a system from OEM B using an HBA from HBA Vendor C. None of that tells you that same disk will perform in YOUR system from OEM Y that uses an HBA from HBA Vendor Z. It might work fine 99% of the time, but then run into an unexpected interop issue during your heaviest (and usually most important) usage times, and now your business is being impacted. Dealing with that integration problem is exactly why we created the WSSD program. WSSD validated solutions have an additional (and critical!) layer of testing beyond what is done for those SDDC AQ’s I mentioned earlier, whole solution testing. That means before one of our partners can list a solution in the WSSD Catalog, they must perform additional levels of testing to prove the configuration they’ve designed and built can handle the demands of HCI. That testing involves building one each of their smallest and largest configurations. Those configurations then go through a 4-day, fully-configured stress test that was designed specifically to work these kinds of HCI systems in areas where they might fail. If the solution doesn’t meet the bar at the end of the 4 days, they’ll need to troubleshoot it and start from scratch again. On top of that, major configuration changes in their catalog or the solution structure can trigger a requirement to re-run the tests, so they can be sure major changes do not introduce serious problems that could have been easily discovered. The end result of all this additional testing is a solution that both Microsoft and our partners have high confidence in. Taking the results of all the work and putting it into the WSSD catalog is how we ensure customers get the highest quality experience using Microsoft HCI solutions. This post has dealt with the high-level view of why we created the solutions program and how integrated testing helps. I didn’t dive into technical specifics, so some of you may still be skeptical of the value that really gets generated with this additional testing. For those of you that want to see some of what we deal with in terms of integration struggles, please check out part 2.